Here is a list of arts and music apps for kids that may inspire creativity at home, as shared with me by a private school in Knoxville, Tennessee. As always, I recommend sharing the experience with your little ones and setting screen-time limits. These apps may be fun, but there is still no substitute for imaginary play! 3. Doodle Buddy by Pinger, Inc. Continuing with my posts that share educational apps for kids, here is a list of apps that help little ones learn about animal studies and social studies. My girls would especially love the animal apps! In fact, listing all of these apps all week have made me want to buy an iPad! In my search, I did see that some of these apps are available for Droid phones, and the National Geographic Kids web site is pretty interactive, too. So these ideas might be helpful for those of us without iPads and iPhones too! 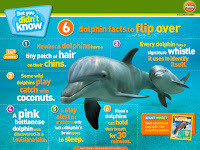 Today in History by Down-Shift Inc.
By the way, Seaworld.com has a lot of great information about marine animals, too! Please read The Flight From Conversation, an article in the New York Times by Sherry Turkle, psychologist and professor at MIT. Turkle observes that although people are substituting frequent, but brief, online conversations for meaningful face-to-face conversations, with the overall end result of feeling more lonely, and disconnected, than ever. I am a partisan for conversation. To make room for it, I see some first, deliberate steps. At home, we can create sacred spaces: the kitchen, the dining room. We can make our cars “device-free zones.” We can demonstrate the value of conversation to our children. My home certainly doesn't have "device-free zones." I blog about this article from my laptop in the dining room. My kids are on the couch in the living room watching TV. My husband is next to them, doing work on his laptop. We are physically near each other, but not connected. Of course, this is not the norm. Or is it? I'm not sure. This article gets to the heart of my concerns about our digital lives affecting the well-being of our marriages, families, or other relationships. A summary on my part wouldn't do it justice. The piece should be read in full. And reread. We should all contemplate how we want to purposefully model and manage our digital lives for the sake of our own selves and for our children. Continuing with my posts this weeks about apps for kids, here is a list of recommended math apps. These were all recommended by the private school in Knoxville, Tennessee that I referenced before. Some of these look so fun. 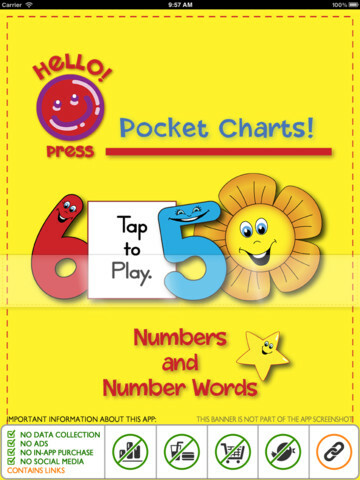 Hopefully these apps will help your little ones grow their interest and confidence in math! Although these links lead to the iTunes site for download to an iPad or iPhone, some of them come in other formats. Try searching for the app and manufacturer name to get their web sites. And if you'd like more information about a certain app before you download and/or purchase (some of these are free), don't forget the app reviews by Common Sense Media. Approach to Montessori Math by Rantek Inc. Convert Units for Free HD by Free the Apps! Numbers and Numbers Words Matching Game by Good Neighbor Press, Inc. 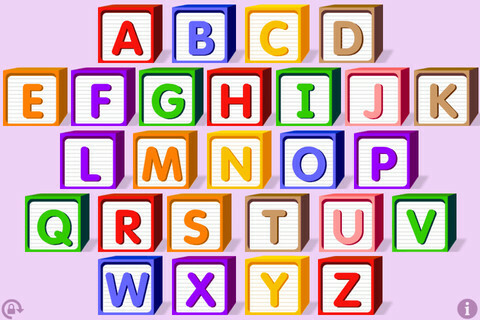 Yesterday I shared 20 apps that help kids with reading, phonics, and other language arts. Today, I'll include 20 science apps for kids! The apps were recommended to parents by a private school in Knoxville, Tennessee. 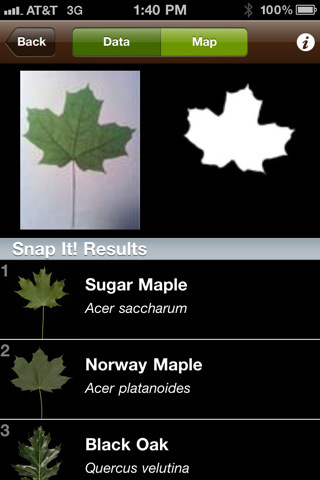 I can't say I've tried any of them yet, except I do have Google Earth on my Droid phone, and it's very cool! The links shared below go to the iTunes web site for information and download. If you don't have an iPad or iPhone (like me), try running a search to see if these products have a version for different systems and gadgets, or even if they can be used through a traditional web browser. For reviews and parent comments regarding popular apps, see Common Sense Media. 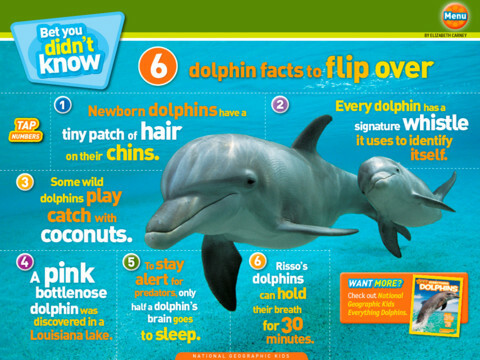 Enjoy sharing science with your kids! Star Walk by Vito Technology Inc. 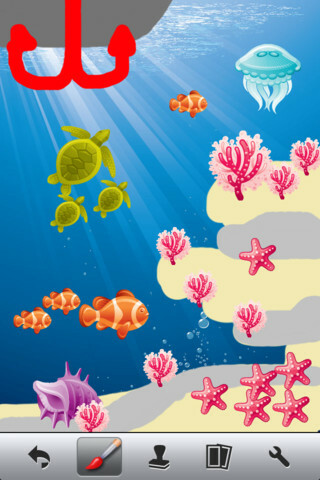 The Magic School Bus: Oceans by Scholastic Inc. I've been sharing a lot of cautionary information about the use of media and technology lately. The last thing I want to do with my blog is to suggest that I think families should live in a bubble, giving up screens and media exposure altogether. For the vast majority of us, that is impractical, impossible, and not very much fun. Although I believe strongly that parents need to manage family screen time, kids absolutely need to be technologically savvy to be competitive in school and in the future job market. To that end, here is a list of apps for the iPad, smart phones and other gadgets that can help preschoolers and young elementary kids with reading, letter recognition, phonics and foreign languages. These apps were recommended to parents by a private school in Knoxville, Tennessee. I can't personally vouch for these programs, except for Starfall. My kids used the program through a traditional web browser both at home and at school. It's great! Most of these links go to Apple's iTunes web site for information and download. If you don't have an iPad or iPhone, run an online search for the program or its manufacturer. Some of these apps may come in different formats, like DVDs, CDs, or programs for Droid phones and other gadgets. Interested in reviews and comments about apps from other parents? See the Common Sense Media web site, where they have reviewed several popular apps, sharing the good and the not-so-good. Living Language - Spanish by Random House Digital, Inc. Alphabet Tracing by Oncilla Technologies, Inc.
As a mother, one of my biggest challenges is to finish anything - a thought, a task, or a conversation - before I get interrupted by my sweet, but eager, children. When the kids go to school, it takes real effort to focus on one work project without getting interrupted by email, phone calls, or the temptation to check the latest news stories. Successful concentration and efficiently finishing a task is sometimes hard to come by. Of course, parents aren't the only ones that have a hard time concentrating. Kids, teenagers, and even babies don't focus well in certain environments. According to the International Communication Association and a report from WebMD, babies and kids ages eight months to eight years who are exposed to large amounts of background TV are at a disadvantage. Their mental tasks are often interrupted by the background sights and sounds, and this, in turn, can lead to language and academic problems. Even kids' sleep can be interrupted. Blue lights from computers, TVs, wireless modems, and other gadgets can interfere with sleep (WebMD.com). TV can disturb preschoolers' sleep, depending on the timing and nature of the television program (CNN.com). And being "overwired" in general, through excessive use of video games, cell phones, and Internet use, can cause a child to lose a good night's sleep (Minneapolis Star Tribune). Continuous breaks in concentration may be detrimental. Some Harvard scientists have even suggested that they are seeing evidence of "shorter attention spans influenced by technology and the constant waves of information washing over us." 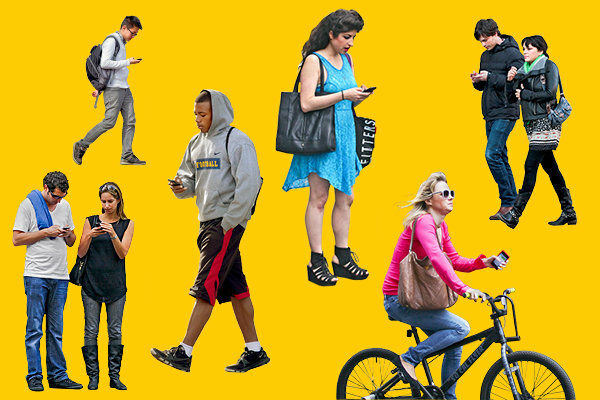 (The Seattle Times) This leads to an interesting question: is technology distracting us, or are we to blame for allowing the distraction? David Levy, a professor at the University of Washington's School of Information, points out that its not helpful to think of technology as the perpetrator when it comes to our concentration problems. It's all in how we as a society, and as individuals, use it and allow it to disrupt our tasks. There are many unanswered questions about how our use of technology interrupts our thought processes and tasks. Psychologists and other social scientists are constantly looking for answers. Regardless of what they discover, managing our family's screen time, background TV, and other distractions can be something very worthwhile to focus on. We watched the movie Marley & Me: The Puppy Years last night with the kids. It's been reviewed through Common Sense Media, a good source for movie reviews from the eyes of parents. The site shares that although the movie has a "paper-thin plot" and a few insulting words and dog fart jokes, the message of the movie - being responsible when taking care of a pet - is a good one. All of that is true, and I want to add to the review. The movie was far from stimulating to adults, but my kids loved the movie. They laughed all the way through it, and were touched when the main character proved to his mom that he was responsible enough to handle his own pet. In fact, that was my six year-old's favorite part of the movie. There were a few subtle messages not mentioned in the movie review that I want to point out. Since beginning this blog, I've learned a little bit about the imbalance of women and girls portrayed in movies. So I watched Marley & Me: The Puppy Years with new eyes. Most of the leading characters were male. The female characters were like the movie plot: paper thin. There was a female puppy that worried about chipping her nails and disliked the color choices of an agility course ("It needs more pink!"). A girl that befriends the main character wears extremely tight and short shorts in her opening scene. Although the boy's mother has an important job, she proves to be a complete ditz. Finally, the team of bad guys includes a token female that only serves food, irons, and dusts quietly in the background. I've also recently learned to pay more attention to the commercialization of kids through the media. This movie is not short on movie plugs. Coca-Cola, Sheraton hotels, Spam and Nike are all promoted heavily. Kids may not notice the use of name brands in the movie, but the seeds for brand recognition are definitely planted. Overall, there was a positive message that inspired a good conversation between me and my kids (they want a dog), and they were truly entertained by a movie without violence, foul language and romantic themes. But if I were making the movie, I would change a few things, including giving a female a more important, or at least a more intelligent, role. I give the movie one thumb up. I'm not a Facebook fan. I have an account, but I rarely use it anymore. At the beginning of my relationship with Facebook, I was thrilled. It was exciting to connect with old friends and acquaintances that I might have otherwise lost touch with completely. But now, several years later, the thrill is gone. I guess I look at it like this: no one truly cares what I eat for breakfast, if I have a flat tire, my political opinions on taxes, or if I'm having a bad hair day. And Facebook friends: I'm not impressed with the mundane details of your lives, either. Sorry for the indifference, but I don't want to know when your husband leaves the toilet seat up. I also don't pretend that my young kids will laugh good-naturedly when they find out that I once shared pictures of them in the bathtub with 269 of my closest virtual friends. Most of my younger "friends" choose to ignore spelling rules, post cryptic messages that I can't decipher, and sandwich every word with expletives. It drives me crazy. One 13 year-old I know posts dark and depressing poetry when she has an argument with her boyfriend. I have the urge to tattle on her. My mother is the only person I dare bore with my vacation pictures because she's good at pretending she's interested. And I much prefer catching up with my true friends and relatives by phone or over coffee. Like my real world personality, I'm just not that extroverted online. But it appears that most teenagers feel differently than my 40 year-old self. They can't get enough of constant digital communication. "Young kids look at technology the way I look at air," says Larry D. Rosen, PhD and researcher of teens and social networks. "It's not just a tool to them, they sleep with it, they wake up with it, and it's part of their world." Students who flipped back and forth between studying and [Facebook and text] distractions had worse grades than those who stuck to their schoolwork until they were finished. Those who used more hours of media were more unhealthy across the board, from elementary school age through high school, said Rosen. They reported more sick days, more stomach aches, more depression and worse behavior in school. "You name it, [they had] more of it," he said. Frequent Facebook use among teens correlates...with narcissism, but for young adults, it correlates with signs of many disorders, including narcissism, antisocial personality disorder, bipolar disorder and borderline personality disorder. There is, however, a possible positive to Facebook use among teenagers. According to Rosen. "...Young adults who spend more time on Facebook than their peers are also better at showing 'virtual empathy' to their online friends and that such online empathy predicts real-world empathy." Hmmm... maybe virtual empathy is something that I should work on. To Rosen, parents make the difference between kids that have issues related to Facebook and those that do not. Parents that set limits for online activity and talk about potential negative outcomes have kids with less depression and more overall self-esteem. The psychologist advises that "parents should assess their child's activities on social networking sites, and discuss removing inappropriate content or connections to people who appear problematic. Parents also need to pay attention to the online trends and the latest technologies, websites and applications children are using." I plan to set limits with my own kids once they become interested in social networking. Thankfully, they're too young to care about Facebook right now. In the meantime, I'll summon the courage to say goodbye to my 269 friends and divorce myself of the site. It's not that I have a bad attitude about social networking. It can be useful if you're promoting something (a business or a cause-related blog for example). I just don't feel the need to promote my personal life. So I won't miss the old college photos that friends have scanned and posted. 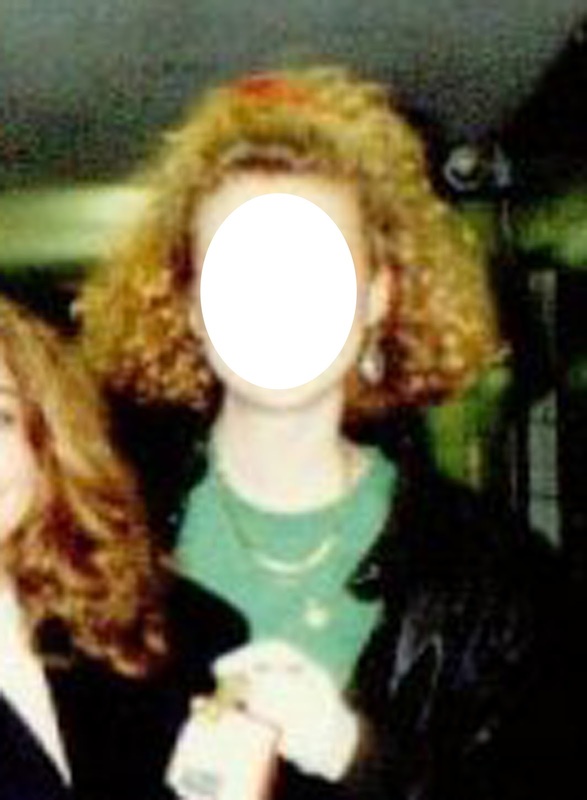 (I still haven't thought of an appropriate rationalization for the size of my hair!) I won't miss the online game invitations, the phony quizzes that people take about me, and most of all, the purposeful use of bad grammar. I doubt that Facebook will miss me. Many of us are familiar with the children's movie The Lorax, based on a Dr. Seuss book and a giant stab at corporate greed and its destruction of the environment. 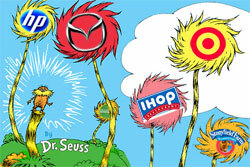 The biggest of ironies is that the movie has more than 70 corporate and nonprofit sponsors from IHOP to HP to Mazda. Through cross-marketing with the movie, Mazda is promoting its 2013 CX-3 to children. We all know that kids don't have drivers licenses, but they do have the keys to their parents' wallets. How is it that corporations can masquerade as do-gooders for our schools, when the reality is their motives are less than pure? This is a blatant marketing campaign targeted at kids in an environment where they should focus on the task at hand (education) and where they should be free from targeted advertising. This story reminds me of an annual fundraising event that comes to our elementary school every September. It's called the Boosterthon Fun Run. Although reportedly the highest-grossing fundraiser our school has, the strategy of the program is to tempt kids with cheap toys to talk their parents and grandparents into donating money. Every morning during the week of the event, the Fun Run staff walks from room-to-room, awarding prizes to those children who have earned pledges. Everyone else feels left out - and naturally jealous. And they go home and put more pressure on the parents. The parents, in turn, don't want the kids to feel left out and jealous, and they (we) pony up more money. After the kids run their laps, they get the equivalent of a plastic ball for a $100 donation. And the Fun Run corporation keeps nearly 50% of the proceeds. The shame of it all is that to the kids, the program is far more about the toys than it is the cause. Through everyday marketing practices in schools, adults purposefully put kids in a social pressure cooker. And cash-strapped schools are in a tough situation, too. Those that raise more money - through using kids to sell everything from cars to movies to plastic balls, or through ads on school buses - might be more successful. Those schools that stand up against such practices may lose out financially. Which is better? I'm not sure that the kids win either way. Even the youngest of the bunch are not immune to the effects of media and screens. In fact, babies are right in the midst of the digital world. For babies eight to 16 months, watching baby videos is associated with slower language development. (Campaign for a Commercial-Free Childhood). It appears that babies are becoming heavier users of screens every day. They have also been recognized as a target market for advertising campaigns. According to a fascinating, and sobering, Fact Sheet by Commercial-Free Childhood, "by six months, babies are forming mental images of corporate logos and mascots. According to market research, babies are requesting brands as soon as they can speak." I know that my kids learned to recognize Target and Starbucks logos at an impressively early age. Parents of young infants is a hot target market, too. We've all heard of the Baby Einstein videos. The company received an enormous amount of heat for their claims that its videos educate babies. When my children were babies, Baby Einstein videos were a baby shower gift given with pride. And yes, I actually parked my baby in front of the tube for a short time each day. (See my first post entitled "Confession.") According to a New York Times article, one-third of babies ages six to 24 months old "owned" a Baby Einstein video in 2003. And yet most experts, including the American Academy of Pediatrics, have stressed that no screen time is good for babies. It all boils down to the activities of parents and babies' loved ones. We're at fault "by training babies to depend on screens for entertainment and the things they sell for amusement and comfort. Before they can even ask for it, we decorate their cribs, clothing, toys and diapers with media characters and place them in front of screens at every opportunity." This is a statement from Susan Linn's book, The Case for Make Believe, and it is so well-said. Let's pause to think before we set the baby in front of a screen or sign our baby up for an online service. We have a choice against throwing our hands up and exposing our infants to screen-time and commercialism. We should let babies be babies, having the only obligations of growing physically, developing cognitively and interacting with their loving families.